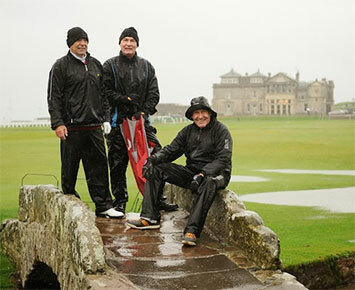 Below is a snapshot of “What Happens on Tour” when you travel with Links Golf St Andrews. It covers most of the topics that our customers enquire about before they travel such as how they will be met on arrival to the UK, practice facilities, transportation and accommodation. 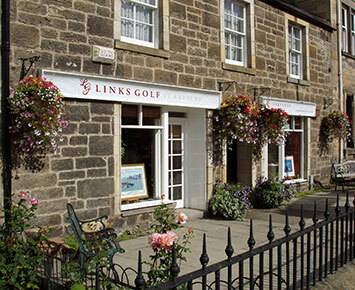 In addition a member of the Links Golf team will always be on hand to answer your questions personally. Prior to your arrival, you will receive a comprehensive package from us which includes any information you may need before or during your vacation. Ceud Mile Failte (A Hundred Thousand Welcomes). 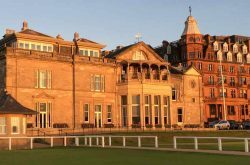 On arrival you will be met by one of the Links Golf St Andrews team, ready to welcome you and take you to your hotel and answer any questions you may have. 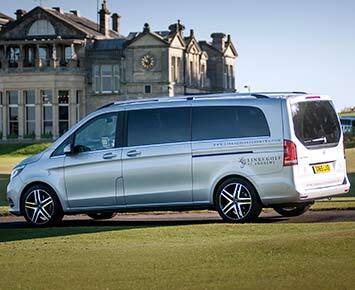 Links Golf St Andrews offer a variety of transport options depending on our client’s requirements. Whether you are travelling with a chauffeur driven people carrier, luxury bus, helicopter or driving yourself, you are assured of first class service whilst on tour. First thing is to check in to your rooms and a chance to freshen up. Depending on your itinerary your host will then organize transportation to the golf course, restaurant or any other destination. For most groups, we meet on the first day for the “Tour Briefing and Welcome Drinks”. This is a great opportunity to answer any last minute questions, book restaurants, assist with directions or whatever it may be. The free dram is not too bad either! 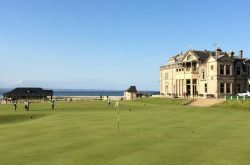 Should you wish to visit the driving range for some last minute practice before hitting the 1st tee, we offer courtesy transfers to The St Andrews Links Golf Academy prior to play in St Andrews (Complimentary range balls are also included). With our offices located in St Andrews, we get the chance to meet many of our clients during their stay. We have a 24 hour contact number and our office is open 7 days a week during the summer. 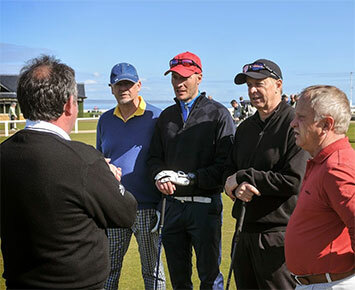 We meet all of our clients before they play The St Andrews Links Courses to settle any nerves and also take care of organising caddies and check in with the starter. This gives us a great opportunity to catch up on your experience so far and assist with anything for the rest of your tour. Should you wish to use the services of caddies for any of your rounds during your trip, we are happy to arrange this. 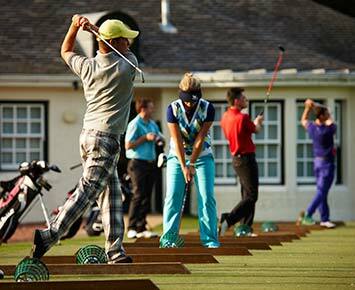 Caddies can be invaluable and whilst they may save you a few strokes, they can also add greatly to the experience. 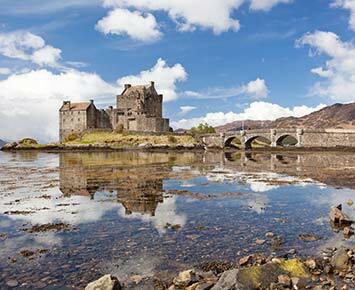 The highlight of your tour and the reason you’ve chosen to visit the UK and Ireland. 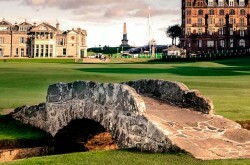 Prepare to play some of the worlds finest golf courses. Steeped in history and tradition, these are the lands that gave birth to the beautiful game we all love. 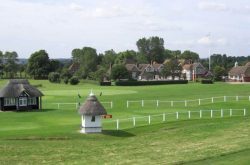 Nothing compares to golf on the links as you are about to find out! Although the UK has a reputation for bad weather, that is not always the case. However you should always be prepared for some rain and wind during your stay. It all adds to the experience and difficult condition at times is something many of our clients look forward!! 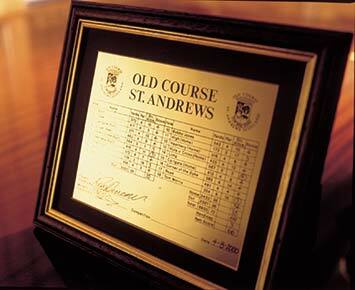 Should playing The Old Course be part of your trip with Links Golf St Andrews, we offer all of our clients a signed brass souvenir scorecard as a memory of their day on the world’s most famous course. 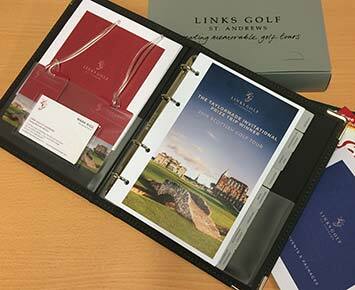 On a par with the golf itself is the chance to sit back and share your stories of the links. The pot bunker from hell, the birdie at the road hole, the perfectly struck four iron into wind that went 100 yards, the putt that measured over 200 ft. All enjoyed inside a warm bar with a pint or a wee nip. Perfect. Back to the hotel, a quick shower and change and time to check out the facilities. Travelling around the country playing golf, often in testing conditions can be exhausting and at Links Golf we understand the importance of a good bed and comfortable amenities to prepare you for the following day. 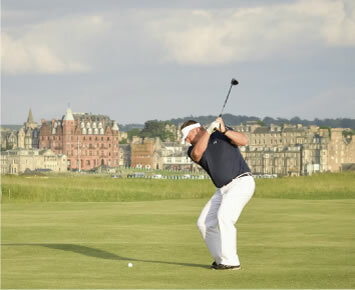 Although the main reason is undoubtedly to sample some of the finest golf courses in the world, but if you look beyond the fairway, you’ll discover historic castles, breathtaking scenery, internationally-renowned art galleries and museums, and the best whisky in the world! 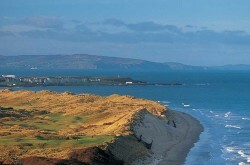 Links Golf will provide you with an extensive list of must-see sights and attractions. 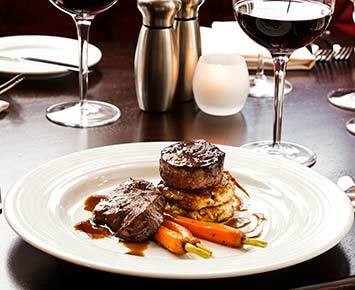 The biggest area of improvement in the past twenty years has to be the quality and variety of dining options to be found in the UK. The choices are endless ranging from traditional Fish & Chips to five star gourmet dining with an enormous range in between that include Italian, Indian, Thai & Japanese. It has been said that all good things must come to an end. With sadness we see you depart for home and wish you a bon voyage. We hope you have enjoyed your experience with us and hope to see you once again in the future. Till Thugainn (Come back to us soon).